While Microsoft’s own mobile platform is struggling to survive, the company continues to pump out their apps for Android and iOS. The latest, exclusive to Android, is Mimicker Alarm. 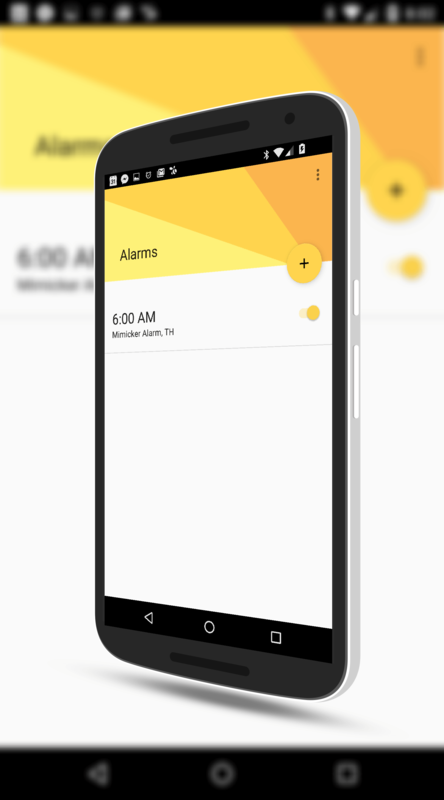 Aimed at helping those who need a little help getting going in the morning, this beautiful Material Design app requires users to mimic actions given to deactivate the alarm. Those mimic games can include matching a color by snapping a picture, matching an emotion by taking a selfie or by repeating a tongue twister phrase out loud. The app is powered by Microsoft’s Project Oxford API which is aimed at improving the understanding and recognition of emotion, computer vision and speech. You can read more about the project here. Mimicker Alarm is the latest in what has been a long series of applications that the software giant has made for Android and iOS. Since adopting a “mobile first” strategy last year, Microsoft has let loose dozens of apps on the two platforms including their entire Office suite, their personal assistant Cortana and other apps that for a long time were Microsoft only. Ironically these releases have often come at the determent of their own mobile platform, Windows 10 for Mobile. A good example of this is how the Android ROM company Cyanogen is now baking in Cortana, ones a Windows phone only feature, into their new images for a wide range of devices.